The Castro district is a community with a lively atmosphere and a zest for life. 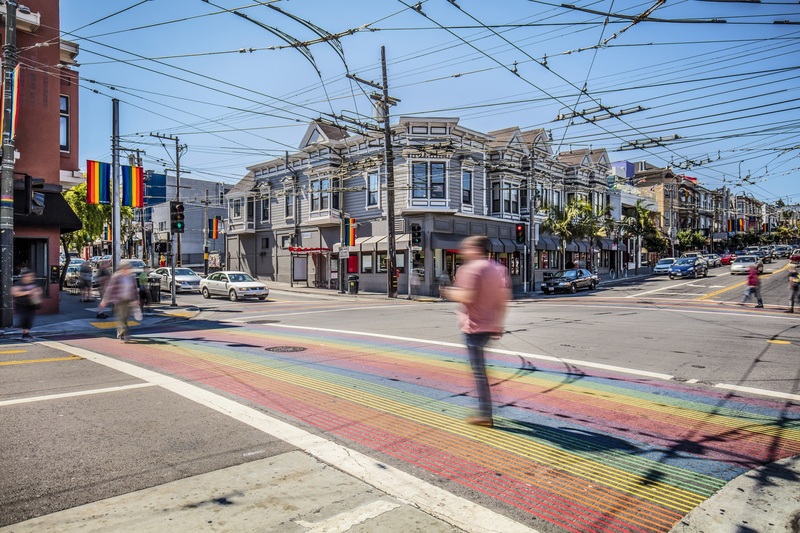 Located in Eureka Valley, the neighborhood is known as an LGBT-friendly community with a vibrant culture, dazzling streetscapes, and abundance of colorful boutiques, historical theaters, award-wining restaurants, and sizzling late-night destinations like the famous Twin Peaks Tavern. Currently home to more than 12,000 residents, the neighborhood was established in 1887 after the Market Street Railway Company created a line that connected Eureka Valley to the downtown area. In the early 1900s, the neighborhood along with some of its surrounding areas was known as “Little Scandinavia” due to its large number of residents with Danish, Swedish, Finnish, and Norwegian ancestry. The Castro district is a very enjoyable place to live, with its friendly atmosphere, fun places to visit, and close proximity to other popular neighborhoods like the Mission District and Noe Valley as well as the downtown area. The Castro district’s variety of apartments and condominiums are sure to please renters and buyers looking for the perfect place to live in one of the city’s most exciting neighborhoods. You’ll be able to find a great selection of stylish and well-maintained apartments that offer a first-class lifestyle. Apartments in the Castro typically range from cozy studio units to more spacious 4-bedroom/3-bathroom units with nearly 2,000 square feet of living space. Most apartments are equipped with an assortment of lovely features, such as high ceilings with skylights, gorgeous chef’s style kitchens with granite countertops, private outdoor decks, bathrooms with high-end finishes, large bedrooms, and many more. Apartments in Castro also offer a very convenient lifestyle, as many of them are located a short trip away from the SF MUNI, bus lines, street cars, cafés and restaurants, wine bars, gourmet groceries, and many more. Residents of the Castro district look forward to a stellar lineup of exciting events each year, such as the San Francisco Pride Month and the Castro Street Fair. Halloween in the Castro is also one of the neighborhood’s most exciting annual street fairs, featuring live performances, art demonstrations, glow-in-the-dark dance-offs, and colorful costumes everywhere. The Castro is home to several must-try restaurants and casual eateries serving a wide variety of cuisine. Some of the best dining venues to check out in the area are Anchor Oyster Bar & Seafood Market, Ike’s Place, Frances, Kitchen Story, and Woodhouse Fish Company. Sitting at an altitude of more than 900 feet above sea level, Twin Peaks is one of the Castro district’s must-visit destinations – it offers a breathtaking 360-degree panoramic view of the city of San Francisco. If you’re the type who loves hiking, you can access the trails rolling across the North and South peaks. Don’t forget to wear warm clothes if you plan to see the enchanting Pacific fog blanketing the entire city. The Castro Theatre is an iconic San Francisco landmark that hosts film festivals, repertory movies, and other special events. The theatre was built in 1922, and was registered as the city’s 100th landmark in 1977. Visit The Castro Theater’s official website here.